Canada is currently home to over 35 million people; with elderly individuals exceeding that of children aged 1 to 14. According to statistics, seniors will make up to roughly 25% of the Canadian population by 2060m compared to a little over 15% in 2015. This increased trend in geriatric populations can be attributed to several factors such as an increase in life expectancy, reduced fertility rates, and aging of the baby boom generation. As an old proverb says, ‘With age, comes wisdom,’ but the aging also brings a long list of health conditions that can have a profound impact on the health and quality of elderly Canadians. Dr. Ali Ghahary uses his current medical expertise and previous experience in treating a primarily geriatric community in understanding the most common problems (outlined below) that face elderly patients today and providing them the best possible health care. Joint pain is a common condition that affects many people in their older age. It is one of the leading causes of immobility and chronic pain in individuals over the age of 50. Arthritis is defined as a degenerative joint disease that causes swelling and pain, which can range from mild to severe. Arthritis is an umbrella term that covers various joint and surrounding tissue conditions such as osteoarthritis, rheumatoid arthritis, and gout. Joint pain is characterized by gradual inflammation of the joints, which then causes pain and limited range of motion. Parkinson’s disease is a condition that typically develops in individuals over the age of 50. However, 4% of individuals under the age of 50 will also be diagnosed with this neurological disorder. 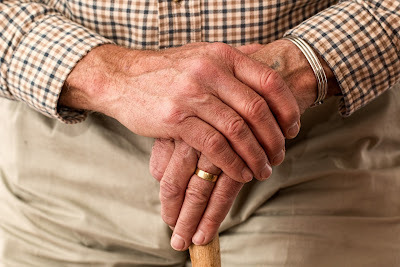 Signs and symptoms of Parkinson’s include tremors, speech changes, handwriting changes, difficulty sleeping, changes in posture, and muscle stiffness. The three most common urological problems in geriatric patients are incontinence, benign obstructions, and prostate problems. 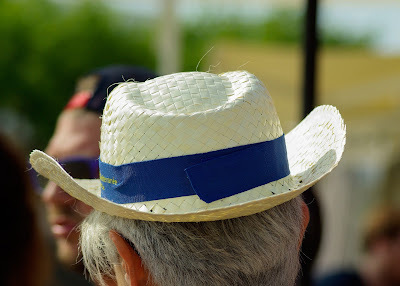 Prostate health is an issue that many men are concerned about, with 6 million over the age of 50 being diagnosed with an enlarged prostate, otherwise known as BPH or benign prostate hyperplasia. Although it is typically not life threatening, the condition can be troublesome and distressing. It is characterized by symptoms such as frequency of urination, or the opposite, a full-feeling bladder. Sleep problems, breathing problems, weakened immune systems and other chronic diseases are just some of the other health concerns that can affect that quality of life in older individuals. However, with proper care and support, seniors can live a happy and joyous life. Over 6 million Canadians live with obesity, which is a leading cause of high blood pressure, diabetes, heart disease, and various cancers, and has been categorized as a chronic disease by organizations such as the Canadian Medical Association. As a result, weight loss and weight management has become a constant debate amongst individuals in Canada. At Brentwood Medical Clinic, Dr. Ali Ghahary encourages his patients to lead healthy lifestyles by way of exercise and healthy eating. 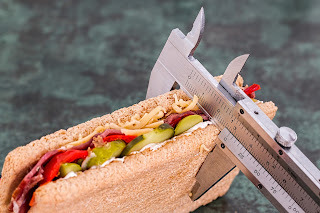 While every individual is different when it comes to finding a healthy weight management program, there a few a few basic rules that everyone can follow to lose weight and maintain that loss in the long-run. Limit your bread intake. Heavy carbohydrates can slow down your metabolism, so it is important to stay away from carbs, including potatoes, white rice, and flour products. Lower your salt intake. Excess salt intake is detrimental to heart health, and studies have also shown that a lot of salt can actually make you gain weight. Brain scans show that sodium chloride (table salt) triggers a chemic called dopamine, therefore making you want more of that product. Salt also increases thirst, which is fine if you drink a lot of water, but it often makes you want to turn to high-sugar or high-calorie drinks like sodas and juices instead. Eliminate wine or alcohol. There is a high content of sugar in alcoholic beverages, which will negatively affect blood-sugar levels. Stay away from sugar. This is self-explanatory. While a little bit of sugar every now and then is okay, most people cannot control the intake, so it is best to cut out sugar from your diet completely. Sugar, like salt, triggers excessive production of dopamine, thus making you crave it more. Meditate. Calming exercises like meditation for at least 10 minutes per day can help you focus on your goals and maintain a clear mind about what you want in regards to weight loss and weight management. Aim every single thought at the path of air going in through your nose, down through your throat, and then filling your lungs and following that path again. Tell yourself that you are breathing in success and positivity and releasing out thoughts of negativity and failure. This will go a long way in any weight loss regimen. Exercise four to six days a week. Exercise is important for maintaining a healthy weight and overall physical functioning. Something as simple as going for a walk for 30 minutes will help you notice a difference in the way you are feeling. Drink lots of water. Water helps to clear the toxins from your body and keep you satiated in between meals. Diet with a friend, family member, or in a group. This will help to motivate you to stay on track. It gives you a sense of connection and achievement to start a weight loss program with someone who has the same or similar goals. Keep a diet journal. Studies show that journaling your goals and keeping track of your profess helps to keep you focused by forcing your mind to accept the process. It eliminates the possibility of getting sidetracked. It is important to note that excessive dieting or exercising can take a toll on your body and make you feel less energized. This can often lead to feeling discouraged and finding it difficult to continue with a weight-loss regimen – but again, each individual is different, and it is important to do your research as well as have frank discussions with your doctor about a weight-loss plan. As a family physician in Burnaby, British Columbia, Dr. Ali Ghahary offers comprehensive care to individuals of all ages. Dr. Ali Ghahary uses the biopsychosocial approach to treat clients as complete individuals with multiple contributors to illness and health. 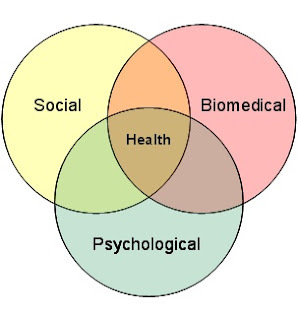 The biopsychosocial model assumes that personal health stems from an integrated web of emotional, physical, and societal factors. Biologic factors include ineffective agents and genetic predispositions as well as hormone levels and a history of physical trauma. These factors contribute to physical as well as to mental illness, just as a person's psychological state may mitigate or worsen a physical condition. For example, emotional depression may predispose a person to alcohol use, which is a known risk factor for liver disease. Social circumstances may also contribute to both mental and physical illness. A culture that values thin bodies over heavier ones may have a higher rate of anorexia nervosa than that of a society with less emphasis on weight. Further, economic uncertainty in those of a lower socioeconomic status may lead to high levels of stress, which may increase a person's predisposition to disease. Consideration of these factors allows a physician to assess the whole patient and to understand his or her illness on multiple levels, from the cellular to the global. Inflammation of the airways, otherwise known as Asthma, affects over 3 million individuals in Canada and has been steadily on the rise for the past 20 years. Inflammation of the airways happens when your bronchial tubes narrow, making it difficult to breathe. While asthma typically affects children in Canada, it can affect individuals of all ages and walks of life. The severity of asthma symptoms vary from person to person, one suffering from this chronic condition may experience symptoms such as coughing, wheezing and shortness of breath. Known asthma triggers include allergens such as dust, mold, and pet dander in addition to cigarette smoke. Non-allergic triggers include viral infections (colds, flu), chemicals, odors (such as perfumes and household cleaning products) and certain medications. Pollen is also an asthma trigger, especially during the spring months, so you may want to limit the time you spend outdoors. You should also avoid planting trees, plants or other pollen-producing agents close to windows. If that is not easily avoidable, it is recommended that you keep windows and doors closed as often as possible and use air conditioners at home, in your office and in your vehicle. Other common disorders such as anxiety have also been said to lead to asthma. Thus, it is imperative to keep your stress level down to avoid persisting asthma attacks by introducing low-impact exercise into your lifestyle. It is important to note that strenuous activity may actually worsen asthma in certain individuals, so it is always important to discuss your exercise regimen with your physician or a trained exercise professional. At Brentwood Medical Clinic in Burnaby, British Columbia, Dr. Ali Ghahary treats asthma sufferers with different medications (depending on the individual and the symptoms presented) including corticosteroids. 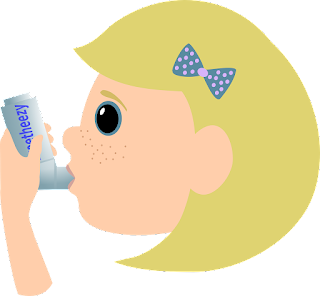 For those with asthma, corticosteroid medications help by significantly reducing inflammation of the airways, making breathing much easier and asthma attacks more infrequent. Corticosteroids are generally given via an inhaler or nebulizer. These devices pass the medication through to your lungs and are said to be much more effective than medications that are given in pill-form. However, inhalers must be used properly in order to be effective. If you are unsure how to accurately use an inhaler, a physician or a pharmacist will be more than happy to show you. It is also important to carry your inhaler with you at all times in the case of an asthma flare-up. As is such with most medications, asthma-preventing medications also come with side effects, which sometimes includes a worsening cough as reported by some patients. If you find your symptoms worsen with these medications, consult your physician as soon as possible.